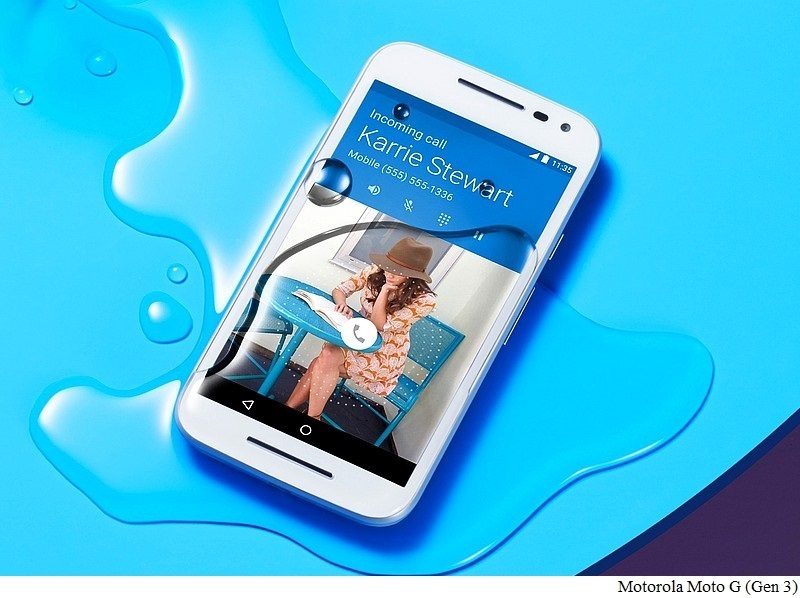 Motorola is expected to launch its 4th generation Moto G series of smartphones soon. On Thursday, the company’s India arm also began sending invites for a New Delhi event on May 17, tipping it may launch the Moto G (Gen 4) aka Moto G4. It might also launch the rumoured Moto G4 Plus as well that houses a fingerprint sensor in addition. Although nothing is mentioned in the press invitation except for the date, the Lenovo-owned company is anticipated to launch the next-generation Moto G-series smartphone in India first. To recall, Motorola had launched the Moto G (Gen 3) in India first, ahead of similar events around the globe. More details about the event can be expected to be shared by the company soon. It is worth mentioning that since Lenovo has confirmed plans to overhaul the Moto brand to “Moto byLenovo”, the Moto G (Gen 4) smartphone is likely to be launched with slightly different branding compared to its predecessors. The Motorola Moto G (Gen 4) and the Moto G4 Plus have leaked quite a few times recently via videos and images. However, none of the information has been confirmed by the company. Earlier this month, both the Moto G (Gen 4) prototype and the Moto G4 Plus leaked separately in a video and an image. The leaked image showing the white-coloured Moto G4 Plus showed a square-shaped fingerprint sensor placed as a home button, a speaker grille, a front-facing camera, and the rear camera with flash and autofocus sensors enclosed in a pill-shaped module and a dimple with the company logo below the camera. The video published on YouTube showed the alleged Moto G (Gen 4) lacking the fingerprint sensor seen on the Moto G4 Plus. The black-coloured smartphone was compared with 2014 Moto X model and clearly seemed slightly bigger in size than any other Moto G handsets. The video also showed its Active Display technology, something that has been there in the Motorola handsets since quite a while.